Refined staging for all occasions. 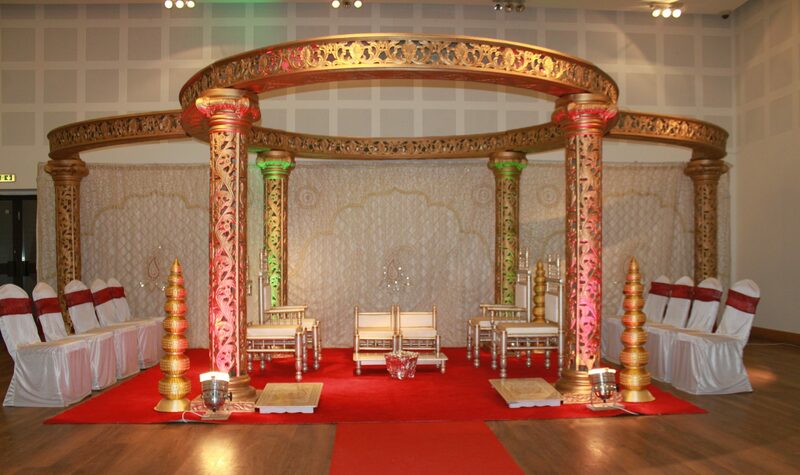 Each mandap can be tailored using different accessories such as flowers, lighting and backdrops etc. Our comprehensive range of wedding packages will ensure that you receive everything you need for your special wedding day. We can provide a wide selection of Backdrops, Aisle way, Foyer decoration table decorations at Affordable Prices. We have a range of contemporary and traditional mandaps.